Some of those who are doing their own bathroom design and renovation may be looking at how to use bathroom countertops to spruce up a half or full bath. Bathroom countertops are a significant part of these rooms’ decor. There are many varieties of bathroom countertops form which to choose; they are made of different materials that stand up to use and provide value in different ways. One of the less popular options for bathrooms is wood countertop, such as a butcher block design. Some of the reasons that homeowners are less likely to choose wooden bathroom countertops is that they are associated with kitchen designs, and if they are not properly finished, they may not be entirely moisture resistant. For a better fit, many homeowners choose laminate bathroom countertops, which are versatile and come in many styles and colors. Some homeowners choose to tile the bathroom countertops with ceramic tiles because these designs may match tiling on the walls or floor. There are numerous sizes and styles of ceramic tile to choose from. Choose tile that is durable enough to stand up to continual use. Fragile tile is not appropriate for a countertop design. A trend in both bathroom and kitchen countertops these days is concrete countertops. These designs can be outfitted with many different types of materials embedded in the concrete, with attractive patterns and flourishes that can add to a bathroom vanity or other installation. For instance, pebbles and aggregate materials added to concrete can provide a great natural look. Likewise, granite countertops have great visual appeal, with sleek, smooth, marbled surfaces. Both of these options are quite heavy, which makes it them hard to install. Usually they are relatively expensive choices. Quartz is also a material that some homeowners prefer for countertops in a bathroom space. In some bathroom designs, homeowners may choose stainless steel, depending on the overall bathroom design and whether stainless steel countertops fit with other installations, such as the sinks. Stainless steel provides a clean look, is durable, and is lighter than stone and concrete. 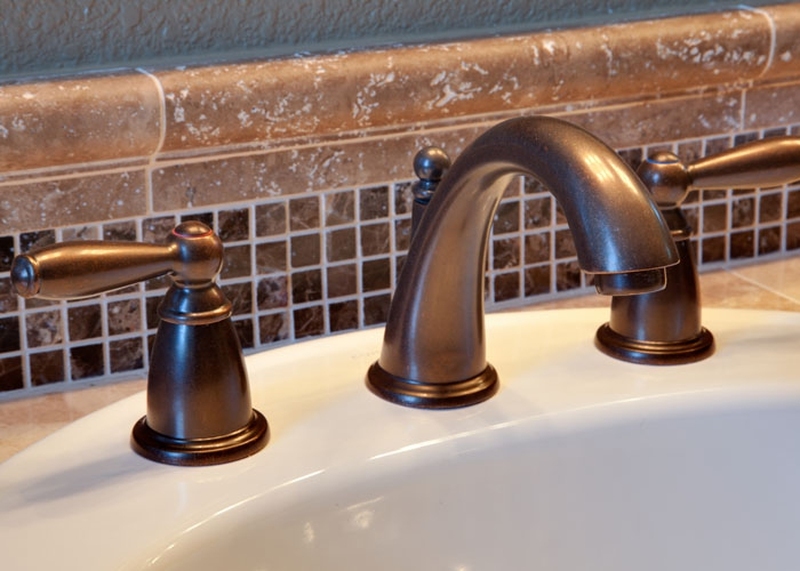 Those who are want to install new bathroom countertops should look at any seams or cracks, as well as the edges of these installations, to see how any freestanding water may be routed and eventually affect the bathroom setup. Loose water can cause a lot of damage over time, whether it’s by seeping into floors or cabinets or attacking the crevices in a countertop design. When selecting bathroom countertop materials, buyers can also look at any guarantees or warranties for these installations to see which ones will provide the most durable and cost effective result.